PROTON has always had an image crisis in Australia, but the new Prevé is out to change that and the Malaysian player means business. Let's face it, Proton has never covered itself with glory in Australia. Its cars were always aimed at the 'less fussy' Malaysian market, and it has never delivered a product of true export market quality, unlike recent Kias and Hyundais. 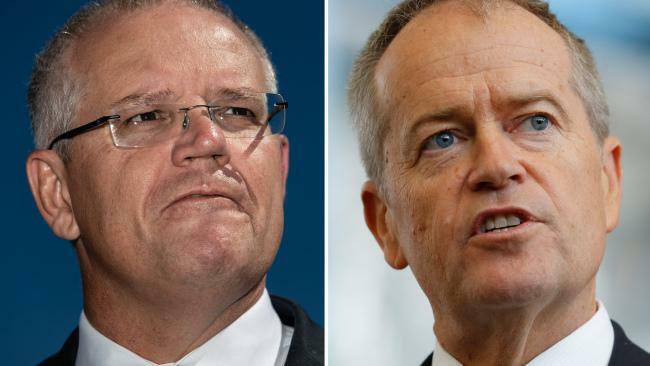 That's why we buy these Korean cars in Australia today, and plenty of 'em. 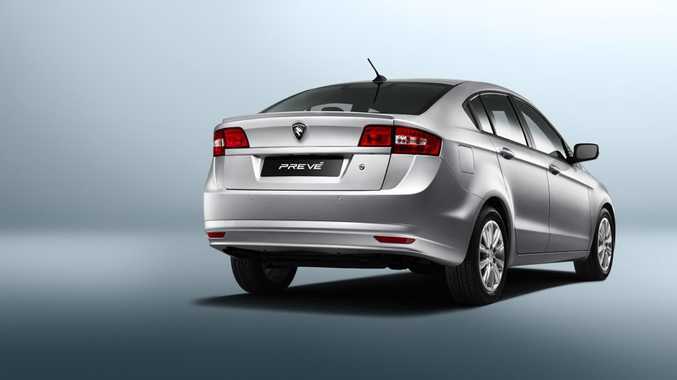 Proton has now given us the all-new Prevé; its first car designed for overseas buyers where the demand for safety and quality is significant. Will it work? The company is backing the Prevé with five years free servicing, warranty and roadside, plus a drive-away price of well under $20,000 for a five-seater sedan. Eyebrow-raising indeed, and as you can see in the pictures it's no design triumph, but it's no ugly mug either. Throw in a five-star ANCAP safety rating and Proton's new tagline stating "Committed to be better" really begins to make sense. 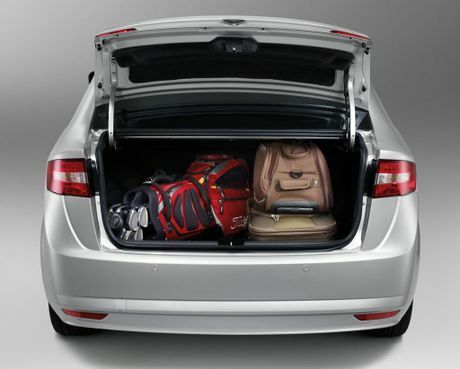 It may be a compact sedan, but there's surprisingly good space in the Prevé for all occupants, plus a 508-litre boot which is one of the largest cargo capacities in this class. Our kiddie seat and two adults in the back were just about swallowed, while a baby buggy and numerous bags could be packed in the rear with no issue. A win for families. As expected there's nothing you'd describe as plush in the Proton's cabin, and the seats are okay rather than ultra comfy. Soft-touch plastics abound, while some cheaper plastics for the likes of the electric windows are dotted around, but overall it's a good effort inside. A let down is the steering wheel and manual gear shifter, which feel a bit cheap but we had difficulty ergonomically - especially the shifter. Positively, the CVT shifter for the automatic Prevé model is far more pleasing to the touch. The dashboard, entertainment and controls are basic but easy to navigate, and when all lit up with the red backlighting look quite funky. Proton's owned sportscar supremos Lotus since 1996, and it certainly feels like the handling experts have sprinkled a dash of magic dust on the Prevé's chassis. It's no sportscar, but grips the corners impressively well, suffers little body roll and turns in satisfyingly. Dare I say it, it's actually quite good fun. The powerplant won't set your world alight, but its honest. Of course, this is not a car to be bought by the performance enthusiasts, but it's a shame such a competent chassis is wasted by not being mated to something with a bit more shove. A turbo variant should be imminent, as will a hatchback version. Get it up to speed on the highway and it's just fine though. It may be slow, but it does all you'd want in terms of cruising speed and comfort. A first for Proton and helping to attain a five-star ANCAP rating, you get six airbags. The Prevé's also got a much improved reinforced safety structure and electronic stability control, with ANCAP saying some positive things after their Prevé crash test. Good news. You also get Bluetooth, steering wheel controls, USB port, reversing sensors and alloy wheels as standard. Look at the price again and it's an impressive spec. It's a crowded segment, and the Prevé trumps the rest for price. Consider the Hyundai Elantra ($20,590), Holden Cruze ($21,490), Mazda3 ($20,330) and Toyota Corolla ($20,990). Proton claims 7.2-litres/100km for the manual, while I returned 8.0-litres/100km with everyday driving, which is acceptable if not spectacular. The CVT auto is quoted at 8.0-litres/100km. The real boon is the five years free scheduled servicing for up to 75,000km. A great offer, and the budget-conscious will love this to go with the five-year warranty. Well done. It won't steal too many hearts design-wise, but the Prevé is smart enough. Proton describe the front end and grille as having a "distinct look of a bird ascending" which should give you all the funk you need when bragging down the pub. In short, it offers enough both in and out for younger families and is by no means anything to be ashamed of. The good stuff: Roomy inside, great boot space, decent handling, cheap price, and it's hard to argue with the five years free servicing and warranty. What we'd like to see: Quieter and more refined engine, better performance, improved ergonomics for the steering wheel and manual gear shifter. Warranty and servicing: Five years warranty and roadside assist (up to 150,000km), five years free scheduled servicing (up to 75,000km). Details: Five-door compact front-wheel-drive sedan. Engine: 1.6-litre four-cylinder petrol generating maximum power of 80kW @ 5750rpm and peak torque of 150Nm @ 4000rpm. Transmission: Five-speed manual or six-speed continuously variable automatic. Consumption: 7.2-litres/100km (manual, combined average), 8.0-litres/100km (auto). Bottom line: $18,990 drive-away ($20,990 for the auto).